For writers with a desire to draft, edit, or complete a book, the New Year is a shining beacon of hope and productivity. For 90% of the writing population, the first couple of weeks of January are a feverish haze of churning out words—until real life rears its ugly head, all “Cooey, it’s me, did you forget your (kids/job/dog/grandma’s food shop)?And before you know it, you’ve careened off the bandwagon and your bookish goal has disappeared. So, how can you stay productive and meet your writing goals for the next 365 days? If you don’t articulate what you want to achieve clearly and with a deadline, then walking the path to the finish line is like trudging through opaque glue: hard, messy and full of sticky problems. Be as public with those goals as you can, whether it’s through a blog, your personal Facebook profile or something else. The more people who know you’re trying to achieve something, the better, because A) there’s nothing like the pressure of ‘expectation’ to keep you going, and B) if they see you working for it, they’ll support you to achieve it. There’s a reason kids obsess over fads: peer pressure is super effective. So why not capitalize on it as a writer? Use an accountability partner. They don’t have to be another writer but should be someone with a similar mindset and work ethic as you. Have a monthly catch-up (I use FaceTime because we don’t live in the same country). Each person set three goals for the following month. Partners should moderate the goals to ensure they’re not too pessimistic or overly optimistic. Remember that the goals don’t all have to be about words; my partner and I tend to have a marketing goal, a word count goal, and a slower-burn project goal. Hold weekly check-ins to monitor progress and a review at the end of the month that incorporates a new goal-setting session. Hell yeah, it does. Both me and my accountability partner tripled our weekly word count within six months of working with each other. TRIPLED. Lots of writers set a deadline and work to that date. That’s fine, until your kid gets sick or your laptop breaks. Then you’re pickled, like a gherkin, and no one needs to be sat in a jar of vinegar all day; it’s bad for the writing hands. Slippage time. 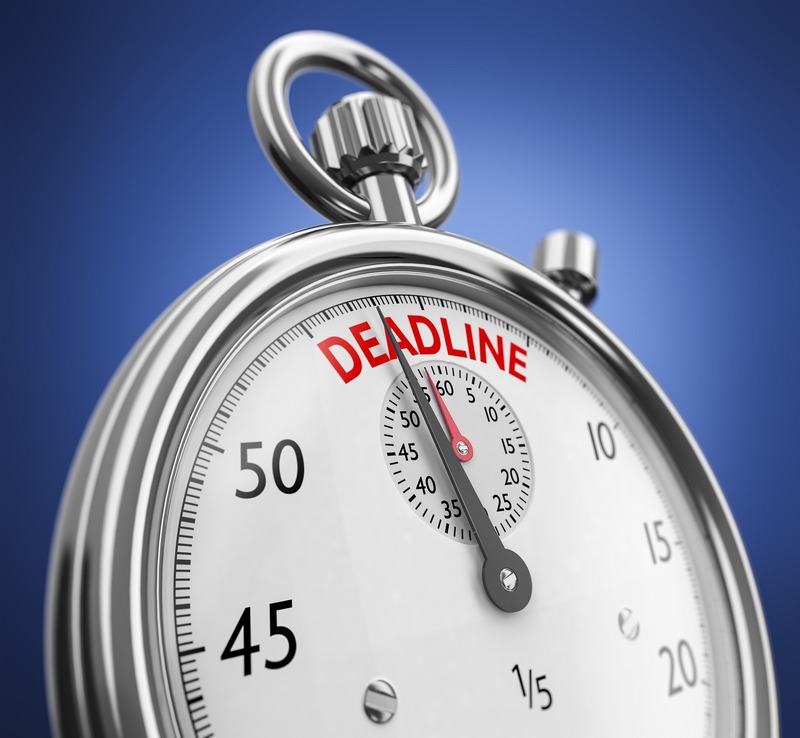 When a piece of work has a firm due date, give yourself a deadline that’s a week or two (or whatever is relevant) earlier. That way if anything goes wrong or life gets in the way, you have spare days to make up the time. This might seem like a strange one – saying you need to commit to study when studying will inevitably take time away from producing words. But think about it: the better you are at your craft, the cleaner your first drafts are and the more productive you become. Don’t passively read. Engage with the stories you encounter by examining the structure, style, and sentence construction. Make a list of writing topics you would like to improve on and spend some time researching one each month. Read more nonfiction writing craft books. Get more feedback on your work. Writers are notorious for suffering from Doubt And Imposter Syndrome. It stops you doing the things that will help grow your writing business—which is exactly why you need to get out of your comfort zone. Pitch an article to a magazine or big indie author you’ve always dreamed of working with. Submit a piece to a competition or your book to an award contest. Set a gruelling word count. Sure, you might hear a few no’s along the way, but you’ll never hear a yes if you don’t try. Be bold, be brave, and I promise you, good things will happen. Could that new TV episode wait? Do you have a friend or relative that you could ask to sit with the kids for an hour? What could you give up temporarily to make time for your writing? Like Artner says: no more excuses, just solutions. Because the answer is out there. If you want to make 2018 the year you finally stick to your writing goals, then be clear what you want from the outset. Give yourself slippage time, study hard, try new things, get out of your comfort zone, and get yourself an accountability partner for support and the occasional nudge. This entry was posted in Focus, Goal and Milestones, Motivational, Resident Writing Coach, Time Management, Uncategorized, Writer's Attitude, Writing Time. Bookmark the permalink. Lots of great points. Thank you! Three years ago I agreed to do a second edition of one of my non-fiction books, while I was still working full-time as a senior editor of a publication. The deadline was my motivation; and the only way to reach it was to make goals for each month. When I failed to make my monthly deadline, I had to work harder. It was tough, but worth it. This is a really in-depth post, thanks! Especially love the bit about setting realistic deadlines. In the past I’ve been far too strict (and then lenient) on myself. This year, realism is my goal! There’s so much good I can say about this post :). The accountability partner piece is incredibly important, imo. I guess people are likely different about this, but for me, it always helps to have someone who I know is going to be following up and asking me about my progress. And to be able to do the same for them is really rewarding. Hey Becca, thank you so much. I’m the same, the accountability partner has made such a huge difference to me. It’s something that applies just the right amount of pressure to make me productive without discouraging me. Thank you again for having me on. Thanks for this great post Sacha. I’ll be sure to use your advice for the year ahead. I wish you all the best for 2018! Thank you for this post. I CAN finish my book this year! It is a good solid piece and I am sure with dedication that only I am able to accomplish I will succeed this year! I love this blog! I set daily goals based on the number of other things that need to be done, no day is under 300 words. I think on days that I am super busy I can get out 300 words, on days I know I have time I set that bar much higher. Last year I realized that I needed a visual representation of the path I was taking after reading a book on the craft, so I set that up and BOY OH BOY did it get me off my tooshie to write. I can see what needs to be completed! (AKA an outline) but that thing sits behind me and every time I walk in my office (often) I am reminded how much is at stake! I really need to set goals. I just keep thinking, “That chapter will get finished when I get time.” I’m deadline driven and do my best work when time is running short (okay, maybe that’s a lofty way to describe procrastination). But since I don’t have a hard, fast deadline for my WIP, I’m just kind of plugging along as I can…not as I should be. I need a goal–a deadline when this chapter must be finished. Thanks, Sasha! I love this. Good solid advice. Thanks Sacha! My goal last month was to research in January and start the first draft in February. I’m pretty sure I’ll do it but there is one tiny hurdle in the way: I had knee surgery on December 13th. With the recovery process being a tad longer than I thought I am now juggling the healing process, the writing process, the learning to walk process and (again) the writing process. It’s an interesting balance I’ve thrown myself in to. I wonder if this knee thingy will dip into my story line thingy? I hope you get better soon Bryan, I definitely think things we writers experience in our lives make their way into our stories – perhaps not as direct copies, but definitely in subtle ways. Life will inevitably get in the way sometimes – I have a 4 year old, and that’s certainly a challenge that occasionally knocks my timelines off. But it’s all about picking yourself up and trying to refocus 😀 Good luck with healing I wish you a speedy recovery. Thank you, Sacha. The knee heals a bit every day and slowly the book that’s running through my brain will work itself out. This is an AWESOME post! Perfect read to wecome the New Year! Thanks so much Sheri, that’s a lovely thing to say. I hope it helps you stay productive this year. Love this kick in the pants, and we all need one at some point. Even if you are productive it is easy to let things slide when things get tough, or we make excuses. Changing it up is something we shouldn’t be afraid of, in fact, I think it is healthy to try new ideas and processes because it keeps things fresh, especially if we feel in a rut. Thanks for this, Sasha! Hey Angela, thank you so much. We all need a kick in the undies occasionally. I TOTALLY agree about trying new things. The beauty of writers is that no two processes are alike (something I find absolutely fascinating) and it takes a lot of experimenting to find what works for us, for productivity and for marketing 🙂 Thank you for having me on today.